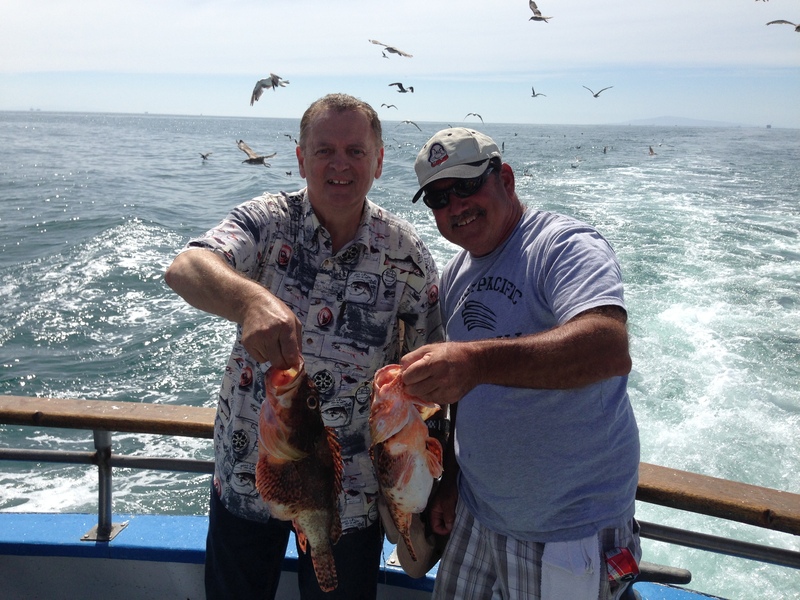 This weekend, the men at Placerita Baptist Church chartered a fishing boat, and Mark was blessed to be able to go along on the trip, thanks to the generosity of one of the men at the church. It was welcome respite from the studying, reading and writing seminary papers. The day started early, since the boat was leaving from Newport Landing, which is based, as you can imagine, at Newport Beach, CA. 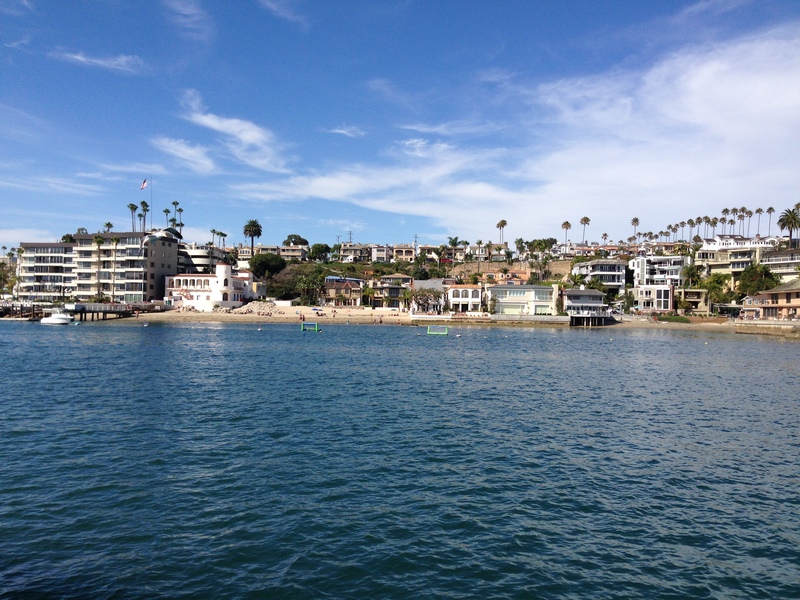 Newport is truly a seaside oasis in Southern California, with beautiful beaches, amazing houses, a 3 mile long boardwalk, lots of things to see and do, and the most perfect weather. However, since Newport Beach is one and a half hours drive from Santa Clarita, coupled with the unpredictability of the LA freeways, an early start was necessary. 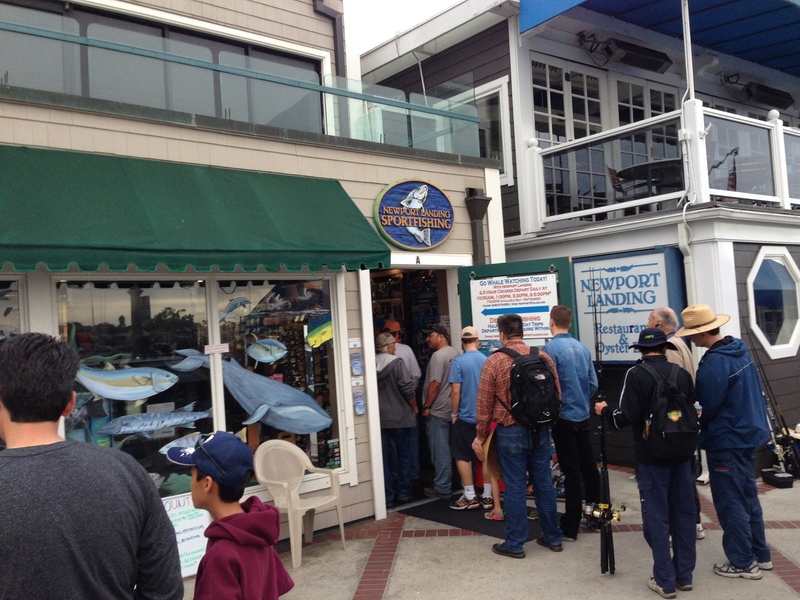 There was about 30 in the party, and all met up and gathered at Newport Landing to get the necessary equipment, such as rods, tackle, and a California fishing license. From there, we boarded the Aggressor, and headed out, right on 7AM. Immediately the crew had the grill going, so most men had breakfast burritos to fuel a day of hauling in tons of fish. Well, that was the hope anyway. 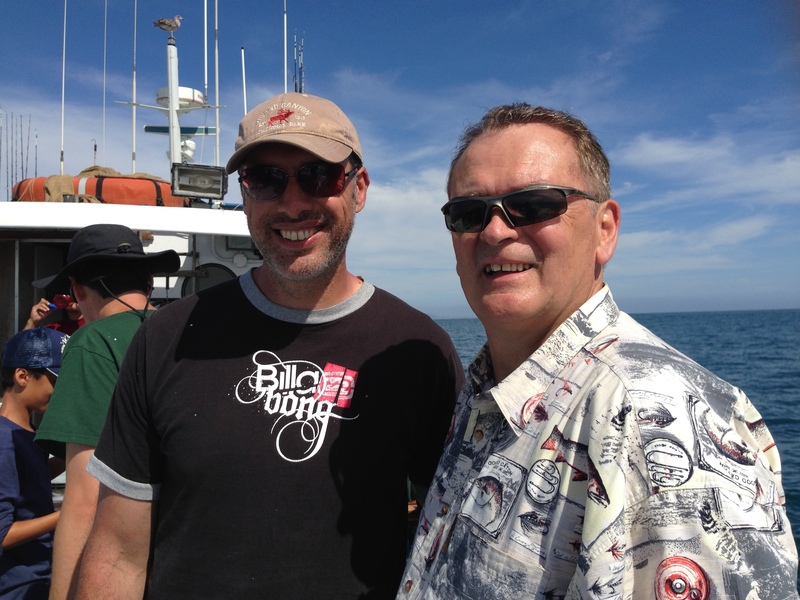 We headed out for about an hour and a half, to somewhere, at a guess, between Catalina Island and the mainland. But along the way, we stopped by a barge to pick up live bait. Once anchored, we were in a fairly shallow part of the water, about 150 feet, but it didn’t take long before we were catching a lot of sculpin. I had never heard of them, but they are essentially a bottom-dweller fish. The sculpin weren’t huge, and we only kept the ones that were at least 10 inches long. The biggest one caught was about 3-4 pounds. After some time there, and grilled burgers for lunch, we set off again for some deeper water and on the search for Bass. We had a neat encounter with a big pod of dolphins, who had decided to swim toward us and then swim both alongside and under the boat. We anchored again and fished for some Sea Bass, which we managed to get, along with some Mackerel, Barracuda, and an odd colored fish called Sheephead. 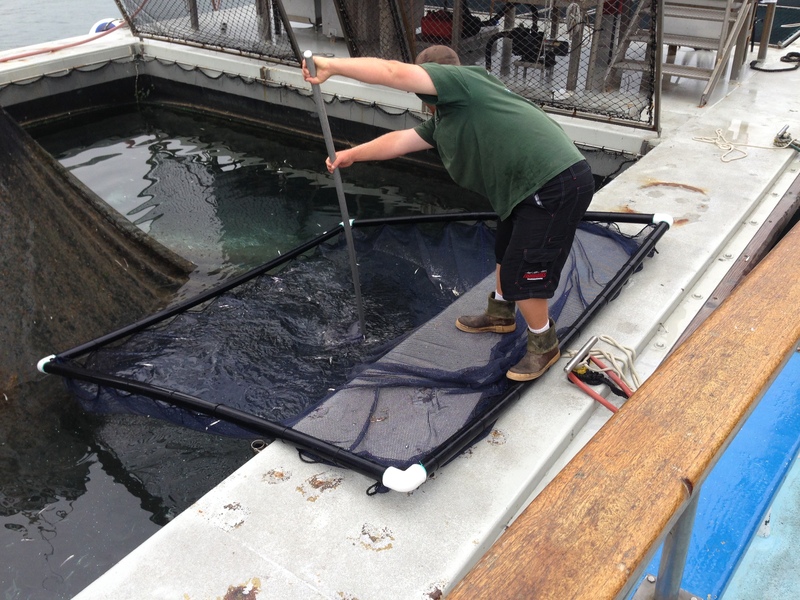 This time, more fish were chucked back than was kept. The crew filleted the fish for us as we traveled back to the landing. It was a long but really fun day, so we traveled back home tired, sunburnt and eager to get the freshly-caught fish on the pan. This entry was posted in Church, Ministry. Bookmark the permalink.